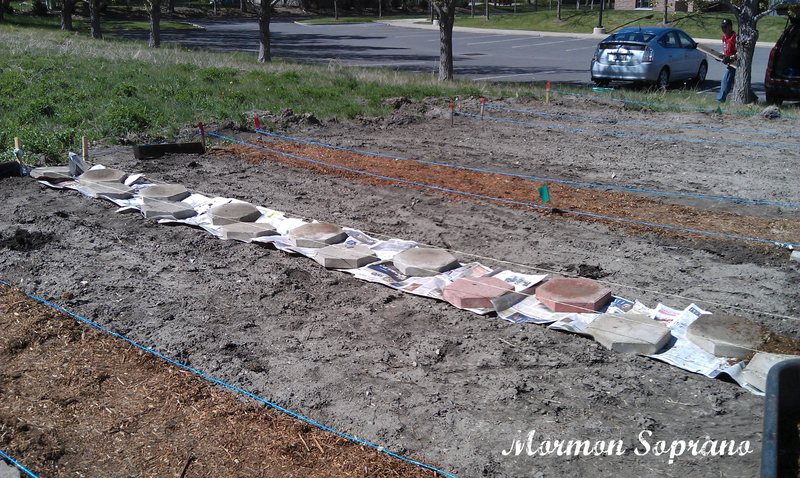 Today our family “garden experiment” officially began! We were finally assured a nice sunny day in northern Utah. The earth had sufficiently dried to ensure we would not be wallowing in a field of mud. So, there really were no more excuses. As previously blogged, this is the first time in our marriage (of over 22 years) to attempt to build, plant, tend, and (hopefully) eat homegrown food from a garden. So, we gathered up whatever garden-looking stuff we could find stashed away in the garage or corners of our yard, consisting of: 1 shovel, 1 rake, 2 sets of old garden gloves, 1 spade, a pile of old bricks and paving stones [left behind by previous homeowners], an interesting metal mesh thing that I decided could make a good trellis, and 1 tarp. At 8:45 am Mr. MoSop, and my oldest daughter and I drove to the location of the Community Garden where we met my boss/friend Joyce, and our adventure began. This was our first time to actually see the community garden area (located behind Joyce’s Episcopalian church) and the first time to see our assigned area. The little tree to the east of our spot was casting quite a bit of shade at 8:45 am, but by 9:30 am the entire spot was in full-sun, and things were heating up quickly! 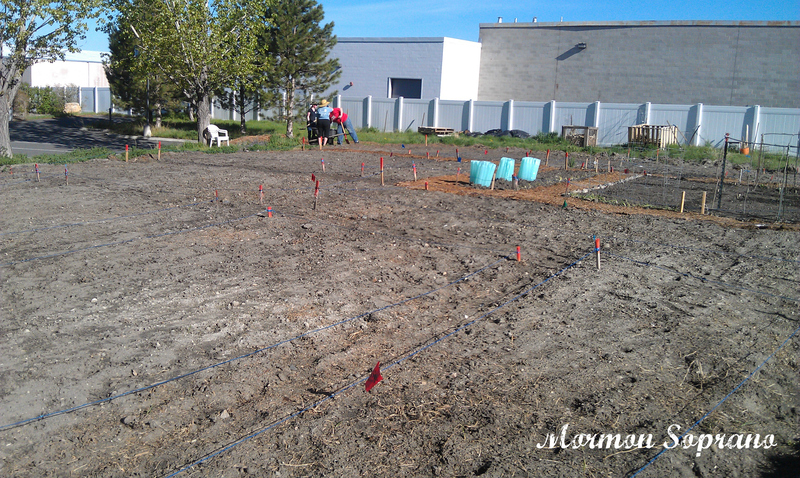 I was very grateful to find that all of the plots were previously measured, staked and roped off by Community Garden volunteers. (bless them!) 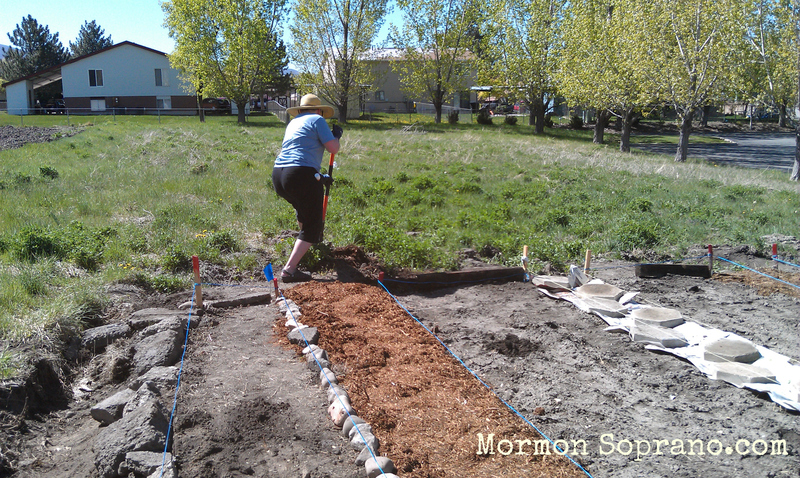 So, while the other three went to fill wheelbarrows with shredded wood-chips on the North end of the field, I stayed and measured out the pathways we planned to create in our plot. 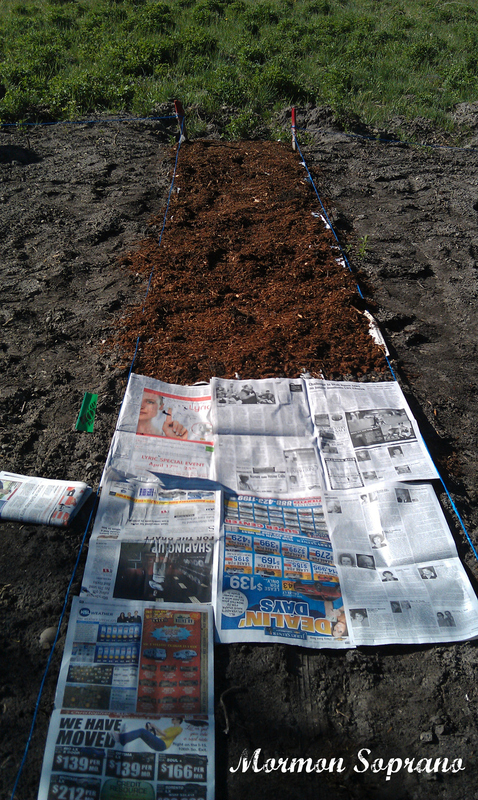 In keeping with our “recycle” goals, and to save expense, we laid down old newspapers on each pathway to help block weed growth, and then we covered over with about a 3 inch thick layer of shredded wood-chips. We found a "little" friend! 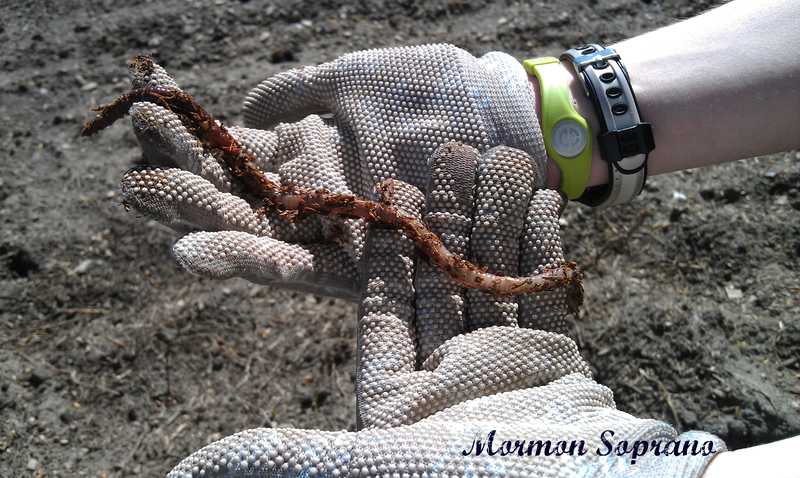 As we dug and raked through the dirt, we found a lot of big worms. 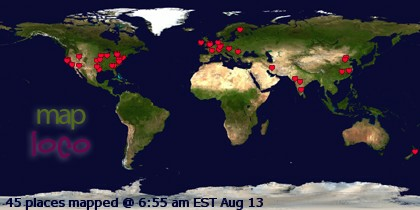 We assume this is a very good sign that things can live and grow here! Creating an "English Garden Path"
We decided to put all of those old paving stones we found to good use by creating a little “English Garden” pathway between the two halves of our garden plot. 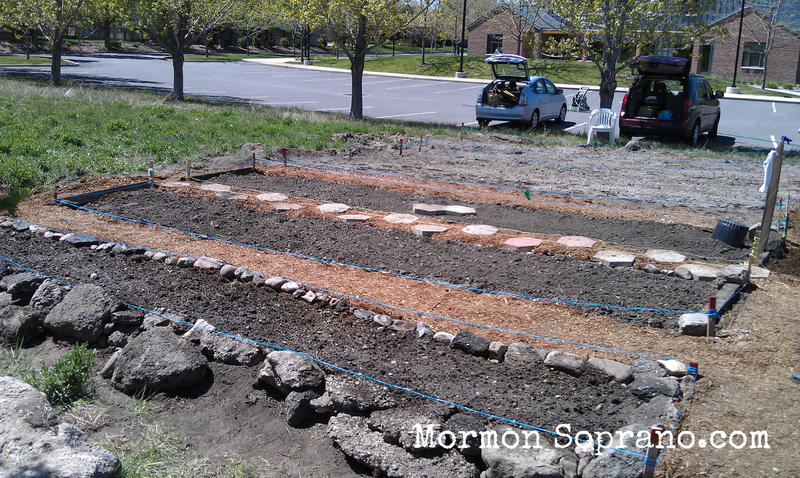 First we laid down the newspaper, then the pavers, and then we filled in the gaps with shredded wood-chips. It was very hard, back-breaking work! 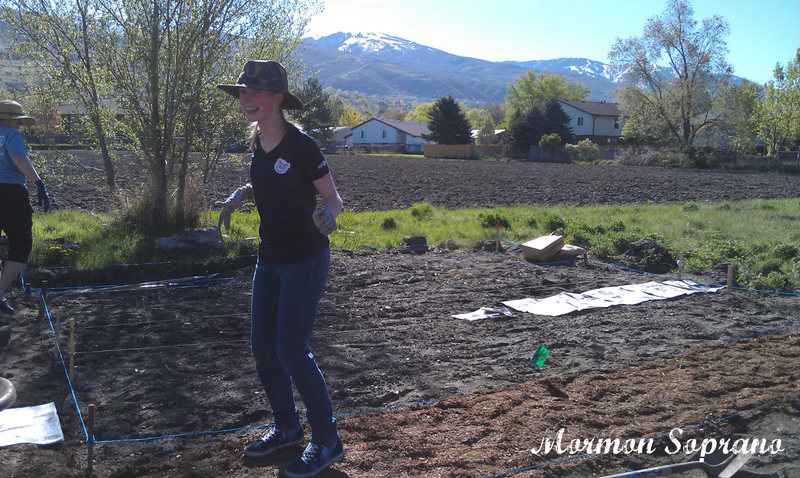 Gardening is not for the faint of heart! We got a really good workout today (and our muscles are certainly paying for it tonight)! I have done a garden almost every year so far since I lived in my home and it always is tough. I still am learning. Certain fruits or vegetables can’t go with others because of how much iron they take. One thing I did learn this last year though is to pull off the bottom stems of the tomato plants or it will take the nutrients the fruit needed. Do this on a continual basis as it grows. You’ll be amazed at the rewards. We had more tomatos then combined all the years previos. They were growing out of our ears and we were looking for unlocked car doors in the church parking lot. Lol! Good luck on your garden. Cool, I never would have known that! Thanks for the tip. JRoberts, thanks so much for the encouragement and the tips! 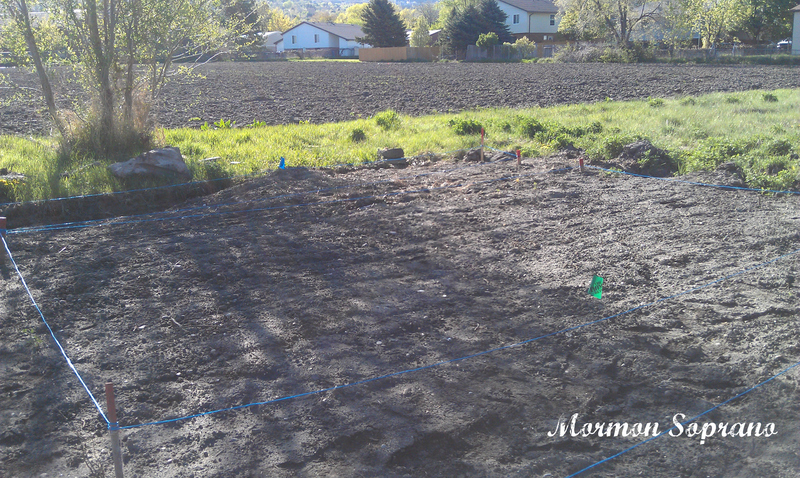 (Congrats on your garden…I have lettuce envy of you).